Central Islip, NY - January 28, 2013 - An East Patchogue man arrested and indicted last summer for DWI, vehicular manslaughter and vehicular assault for causing a crash that killed his 77-year old grandfather is scheduled for sentencing in Central Islip tomorrow morning, Suffolk County District Attorney Thomas Spota said. 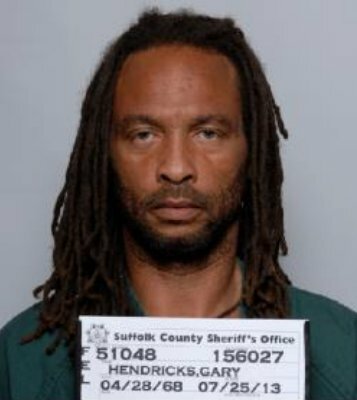 Gary Hendricks, 45, was driving a 1999 Chevrolet Suburban on Sunrise Highway in Patchogue on the evening of July 22 when he rear-ended a pickup truck and lost control, overturning on the shoulder of the highway several times, DA Spota said. “The defendant told police he was driving - even though he did not have license - because his passengers had more to drink than the two beers he had,” DA Spota said. The district attorney said a chemical analysis of the suspect’s blood showed he had a blood alcohol content of .17 hours after the fatal crash. Hendricks pleaded guilty to all of the charges in the indictment; vehicular manslaughter, vehicular assault, driving while intoxicated and aggravated unlicensed operation of a motor vehicle and is expected to be sentenced by State Supreme Court Justice Fernando Camacho to four to eight years in state prison. District Attorney Spota said prosecutors will recommend a sentenced of up to 12 years’ incarceration upstate. Justice Camacho will call the court calendar at 9:30 am. Subject: LongIsland.com - Your Name sent you Article details of "Sentencing Tuesday in Central Islip for Man Responsible for Grandfather's Death in DWI Crash"